If you are in London and looking for a free day out, I'd thoroughly recommend popping along to the Horniman Museum in south London. 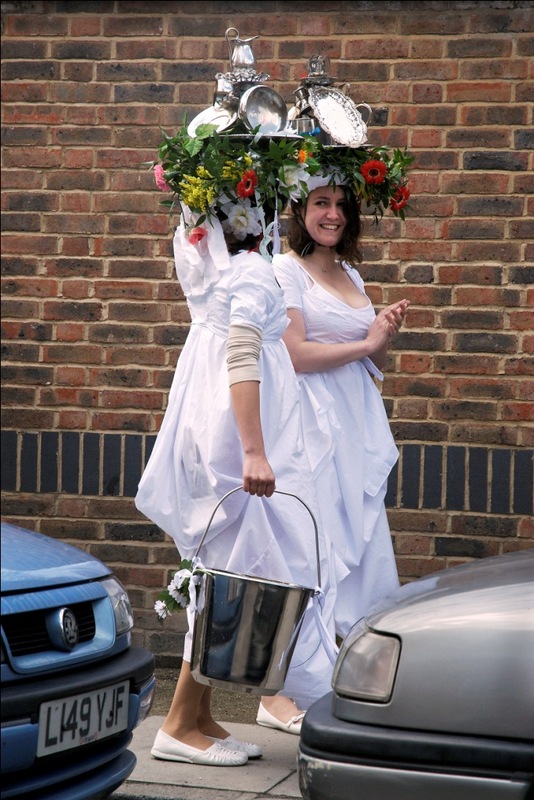 As well as its regular displays, which include anthropology collections from around the world, the Horniman Museum is currently showing an exhibition called Mummers, Maypoles and Milkmaids. This free exhibition, which coincides with the publication of the book of the same name, brings together photographs of regional rituals performed throughout the year in England, from Cornwall to Northumberland. Having reviewed the book on my blog a couple of weeks ago, I decided to visit the display as well - and I must say that the photos look even better as large prints mounted on the gallery wall than they do in the book. 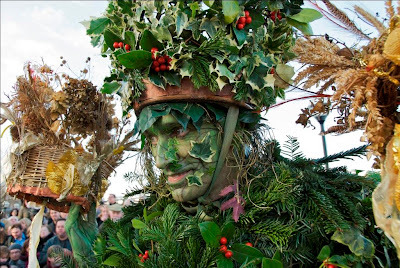 The images show costumed processions, symbolic dramatisations, traditional dances and fire ceremonies that mark the changing seasons and celebrate nature's bounty. Many of these customs claim an old origin or have a pagan heritage and are kept alive today by local communities. The Abbots Bromley Horn Dance in Staffordshire is said to date back to 1226 Others, such as the Carshalton Straw Jack, have been revived or created in recent times. The pictures - and the book - are by award-winning photographer Sara Hannant. She travelled around the country to capture these images, which reflect her eye for the unexpected. The pictures show two of the photos in the exhibition.